The ethical concerns raised by Elke Schwarz in her new book, Death Machines: The Ethics of Violent Technologies, help situate the use of armed drones in a deeper discussion of our modern political landscape and point to the issues that must be addressed through substantial ethical reasoning. For those not familiar with political theory and ethics, this book is at times quite dense. 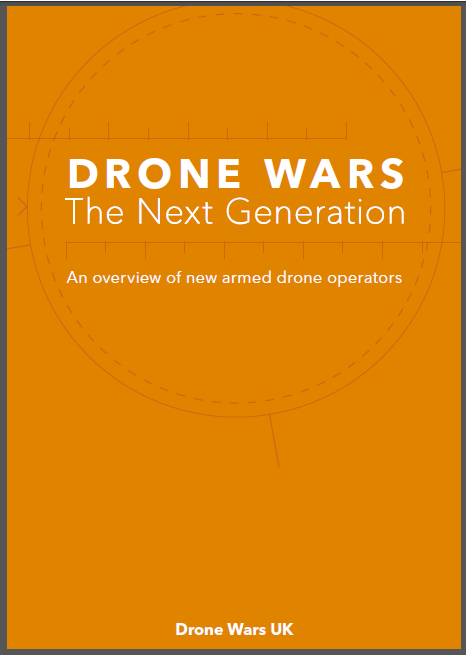 Nonetheless, it is essential reading for those working with or on the issue of drones, autonomy and AI to engage with the ever-increasing use of violent technologies, regarding both the physical death they inflict and the ethical death in the wake of their use. Framed by Schwarz’s biopolitical interpretation of Hannah Arendt’s theories, Death Machines asks how we have allowed violent technologies to become the right choice when dealing with problems that threaten society. Hannah Arendt judged that modernity’s movement towards the efficient management of society, relegated plurality and consequently equality among varied people and beliefs. This then limited the scope for what Arendt considered true politics. For her, true politics required space for uncertainty and risk, which respected the plurality of society and allowed for ethical thinking and action. What she saw happening instead was that true political action and ethical decision making had been downgraded below the basic concern for the efficient survival of society, which flattened plurality and destroyed equality. The pursuit of life for its own sake had taken the place of morality and spirituality – the how and why of life. Biopolitics seeks primarily to keep the organism alive. Taking this as a backdrop to the political and military world in which we find ourselves today, Schwarz argues that we live in a society where politics has become a collective “will-to-health.” Just as in medicine, we allow experts and their sophisticated instruments to determine what is good for us. Conversely, what is not good for the overall health of the body needs to be removed. The more precisely this can be done with the tools at hand, the better. With regards to the war on terror Schwarz notes the telling language used by previous US administration; such as, “rooting out the cancer of terror”, “sick society”, “curing Afghanistan” and the “surgical precision” of new violent technologies. In doing so, the scene is set for the most ethical intervention to be that which most accurately finds and eliminates people who threaten the health of the body. Armed drones are used by Schwarz as an example of where violent technology is leading us in our biopolitical environment. As Schwarz asks, “what is it that enables the framing of an instrument for surveillance and killing as an inherently ethical instrument?” (p177) but the essential question is Arendt’s: “what are we doing?” This question gets at the heart of how we as a society make ethical decisions. Have we stopped asking whether it is ethical to kill and begun only to ask what is the most ethical way to kill? Are we beginning to allow, or, indeed, have we already allowed, machines to make decisions for us? Do the current invasive methods to cure sickness contribute to the over health of society and humanity? By opening up these concerns in a biopolitical framework, we are invited to look deep into the way political narratives are constructed. 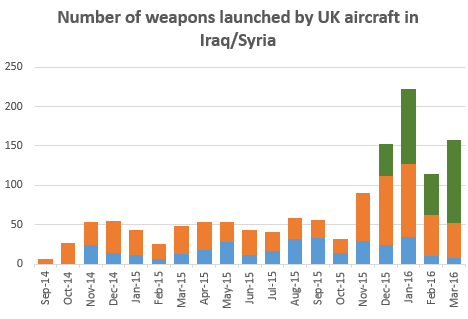 At present, as Schwarz notes, the use of armed drones has not stemmed the tide of violence in our modern era and this should lead to serious consideration of her ideas. Two chapters entitled ‘Procedural Violence’ and ‘Ethics as Technics’ highlight the consequences of the cessation of ethical reasoning regarding when it is permissible to kill, or whether the approach to the war on terror is the right one. Violence becomes a normal part of politics and true ethical concerns give way to whether new violent technologies are lawful. To argue for their ethicality based on the law limits political and ethical discourse, and ultimately responsibility for the nature of violent technologies. A further chapter, ‘All Hail our Robot Overlords’, delves in to the ways in which we as human beings have begun to view ourselves as more fallible than the machines we use. Technology has rendered us knowable and calculable: both our physical bodies and our habits can be scrutinised and made better with technological and scientific solutions. We are improvable through technology and we begin to trust the machines’ capabilities more so than our own. Schwarz notes that this is just as true in the military as it is in science. Signature strikes are used as a prime example of this abdication of control. The power of drones to watch unblinking, to process huge amounts of data, to strike with precision, unsusceptible to fatigue, makes them, we are told, better suited than humans to the task of finding and rooting out terrorists. Moreover, this is not simply curing the body but keeping it healthy via algorithmic models that allow drones to determine risk levels, and suggest what (or who) should be removed. Schwarz argues that this type of risk management, which is ever expanding as more sophisticated algorithms are created, leads to a situation in which we can never be free of violence. Thus, we allow our reliance on technology (that can only think in pre-programmed modes) to limit the scope for complex ethical decision-making, without regard to the long-term consequences of those actions. 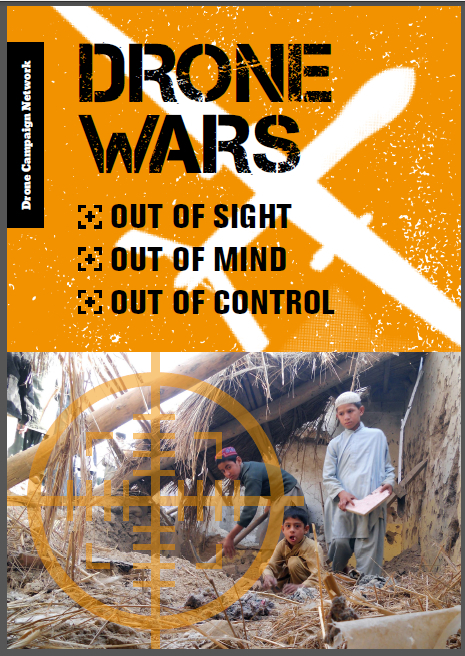 No doubt, advocates of drone technology and other ‘precision targeting’ weapons, will argue that the main concern is indeed the more ethical way to engage in (inevitable) war, but that is precisely what Schwarz seeks to address in the book. Are these simply efficient technologies? Her answer is no, they are not. They are killing machines in which we are beginning to trust to make decisions for us and thus avoid engaging in deeper ethical reasoning about our actions. The biopolitical underpinning of this argument makes for sobering reading about the possibilities for change in the political environment. However, as Schwarz says, she is seeking to raise what is at stake before drone technology, and its future incarnations as AI and autonomy, are used without restraint because we have got to a point where we no longer ask whether their use is appropriate. The issues raised by Death Machines move far beyond whether targeted killing is within the law, and whether drones are really a new form of weapon requiring (or not) their own control regimes. At the very least, this book should open up for debate whether we are asking the right questions about drone use, and allow those on all sides to enter in to a deeper discussion about the appropriate use of violent technologies.